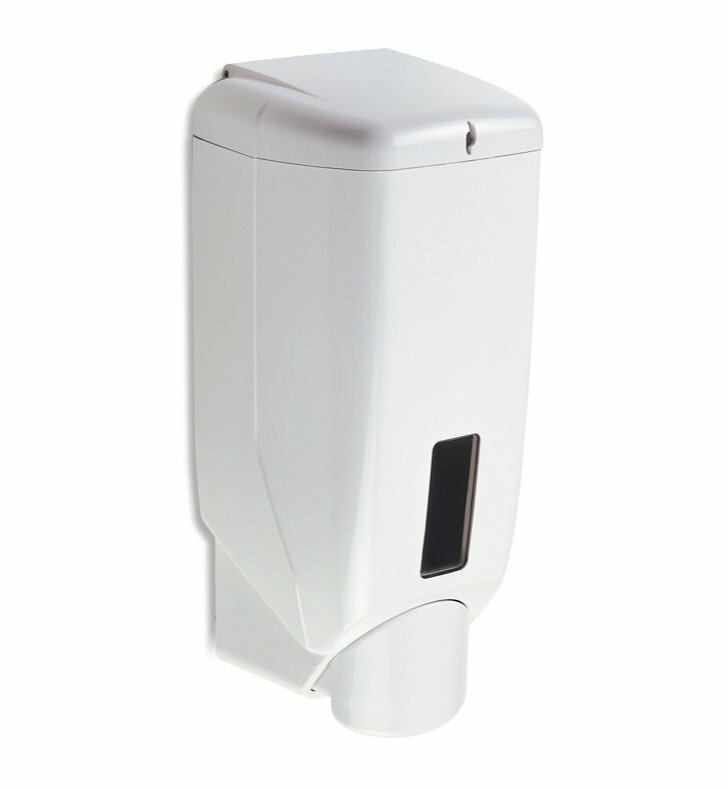 A sleek wall hung soap/lotion dispenser made in extremely high quality thermoplastic resins and finished with white. This lotion dispenser pump from the StilHaus Accessories collection is a contemporary-style soap pump. Imported from and manufactured in Italy. Perfectly compliments your luxurious master bath.